EHD Design Build Group is a Comprehensive Property Solutions firm providing Design/Build, MEP Services, and Exterior Living services to the Metropolitan DC marketplace. As a Licensed Class A General Contractor, EHD has successfully delivered projects from a few hundred square feet to several thousand square feet. We believe Our People, Our Process and Our Proactive approach to our client requirements are the foundation of our continued success in the marketplace. Our Goal is to provide our clients with a Single Source Solution for all of their property needs both Residentially and Commercially. EHD will plan and review every detail of your project during our Consultation Meeting, Site Review and Property Measurement. 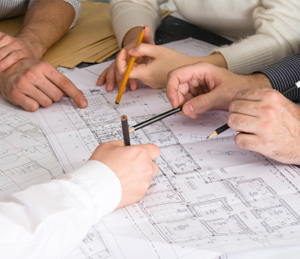 Our consultations allow you to ask questions, uncover site limitations and explore design options. We will serve as counsel to ensure your project is set off on the right track from day one. EHD provides Concept and Design Renderings to drive project direction and client goals aimed towards securing workable budget and project scalability. Our design documents are accompanied with our standard retainer per project scope and client requirements. Once a project direction is secured EHD works with you to plan the project. Whether site planning or finish material selection our team will assist you in getting your project ready for construction. EHD will schedule and serve as General Contractor and assume Single Source responsibility for project delivery. Our Build team will work along side our Design team to ensure Accuracy, Budget Control and Scheduling. EHD partners with the client to deliver success at every step.